MAP Reading and Math are assessments that allow teachers to see their students as individuals. As the student responds to questions, the test responds to the student, adjusting up or down in difficulty. SCCPSS students in grades K-8 participate in MAP. Sylvan Learning Center of Savannah can help your child prepare for this important testing. With test prep from Sylvan Learning, there’s no need to sweat test day. 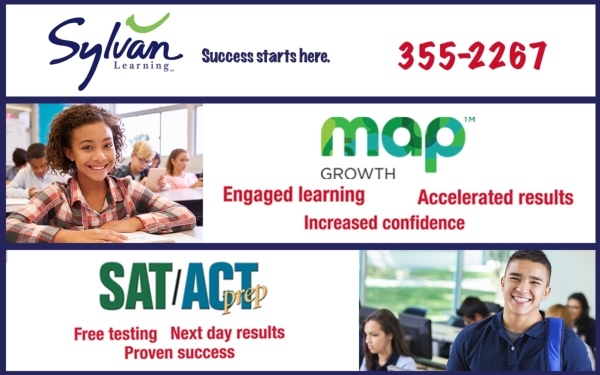 Sylvan’s proven program covers all aspects of the ACT or SAT exam, so your teen will feel confident and prepared when the big day arrives — and get an edge over the growing competition to get into college. This entry was posted on Wednesday, January 16th, 2019 at 7:17 pm	and is filed under Classes/Programs, Development/Education, tutoring, Tutoring programs. You can follow any responses to this entry through the RSS 2.0 feed. Both comments and pings are currently closed.